Once, long ago, I posted on the internet as Studicus, an in-joke nickname related to a skit from high school. 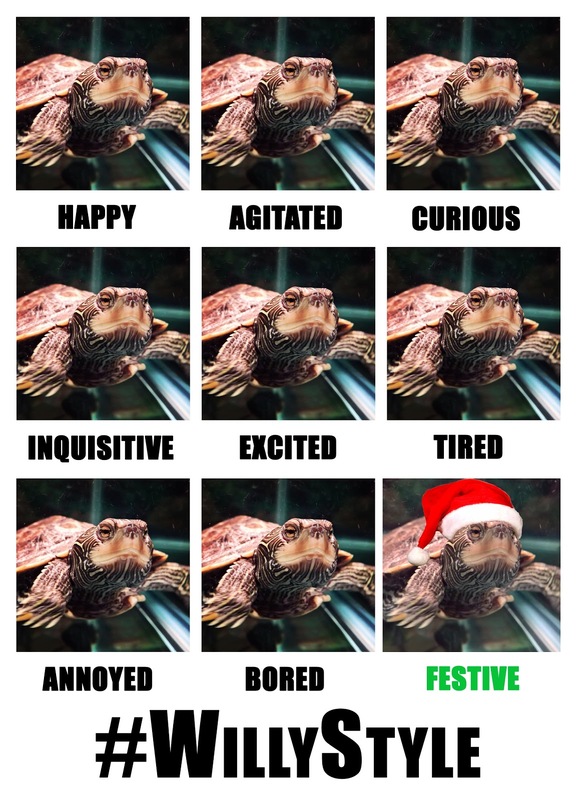 When I first started blogging, I called my year-end entries "Studicus Selects." The tradition has continued since 2005...although I skipped 2006 for some unknown reason. 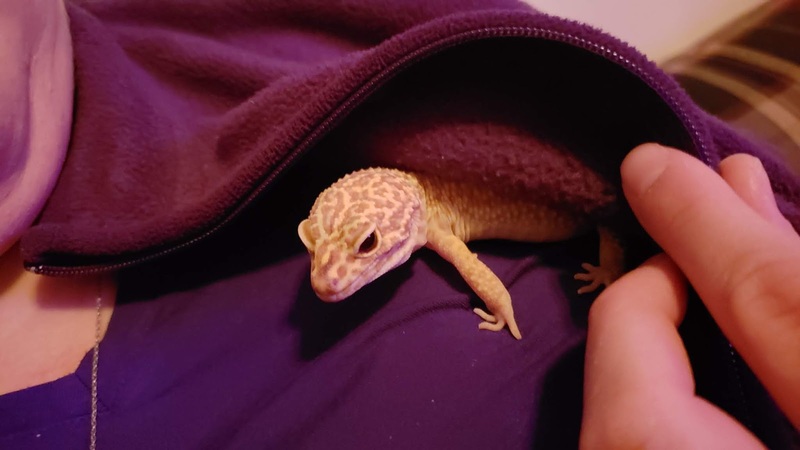 Biggest Family Addition, Leopard Gecko Category. In May, we welcomed Lenny into our lives. His formal title is Lord Leonard Attenborough Adams, Viscount of Quail Run. He's a leopard gecko we've adopted--super sweet and a lot of fun to have around. 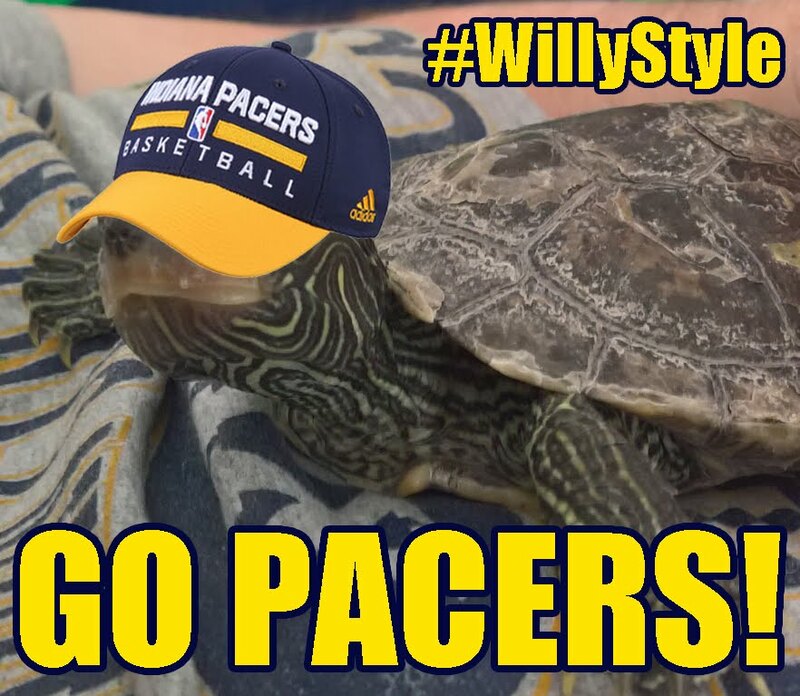 Unlike our turtle, Willy, Lenny is more or less nocturnal. 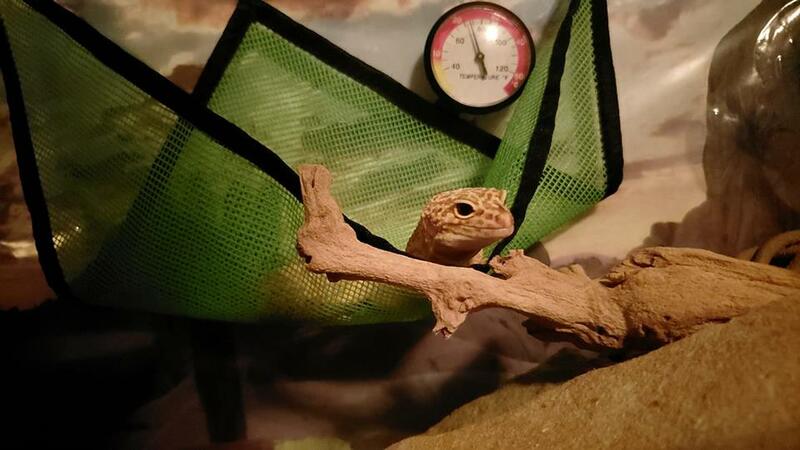 He's most active between the hours of 7:30 p.m. and 7:30 a.m. and stays hidden away in a little hut during the day. 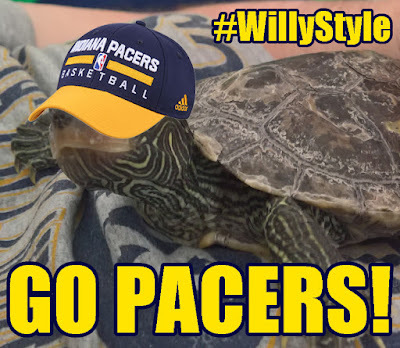 Best NBA Head Fake, Turtle Category. Willy will climb anything. He loves to climb. 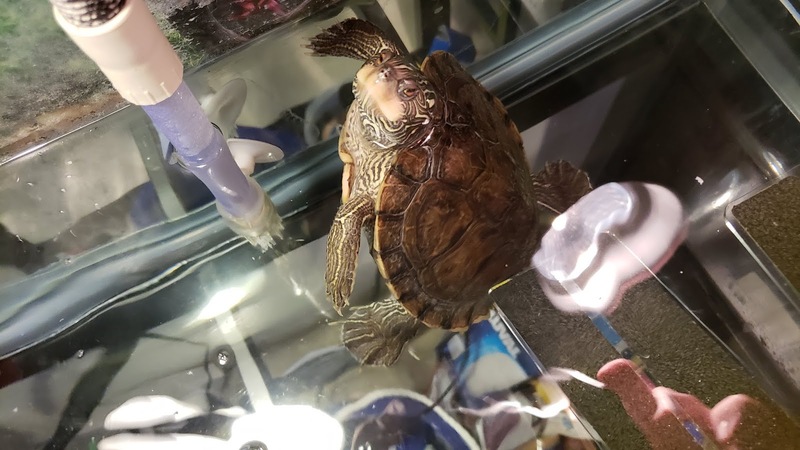 You let him out of his tank, and he'll run around the house to see what he can climb into. He'll try to climb the walls, furniture, his food bin, the stairs--you name it. We've had our Christmas presents wrapped and under the tree for a couple weeks, and Willy's been curious about them. The other day, he wanted to climb them, but I stood in his way. He looked up at me, slightly disappointed and mildly perturbed. Then he head-faked like he was turning around and MADE A RUN for the presents! I intercepted him just in time. Best NBA Pitchman, Fake NBA Player Category. 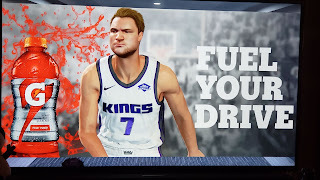 I bought NBA 2K19, which was kind of a mistake. Don't get me wrong, I love the game. It's just that I love it a little too much. The MyPlayer feature is back and as much of a grind as ever. Still, as a rookie for the Sacramento Kings, things are going pretty well. I won Rookie of the Year, led the team to an NBA title despite a serious challenge from the overpowered Golden State Warriors, and also promoted Gatorade. Anne looks like she just caught the big one! 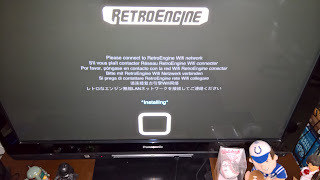 Unexpected Christmas Purchase, Replacement TV Category. My parents needed a new TV. My brother and I thought it would be the perfect Christmas gift for them (it was). 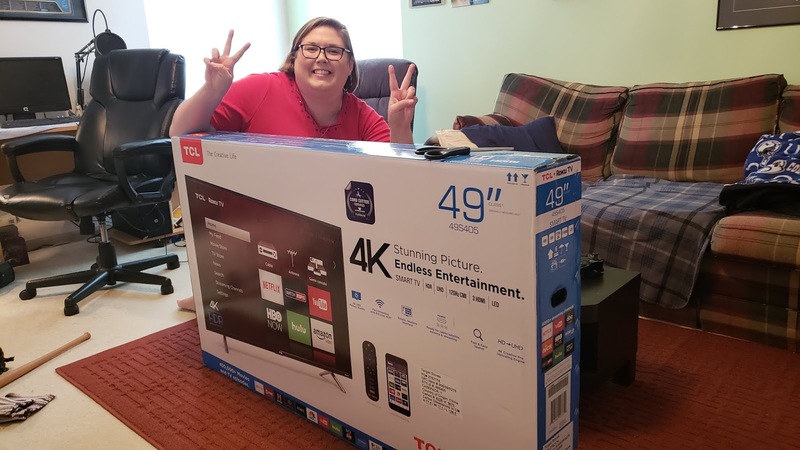 However, while I became obsessed with looking for TV deals, I accidentally found one for myself at Target when they marked down a 49" TCL and took off an additional 15%. Welcome to 4K! Unfortunate Failure, Phone Upgrade Category. Anne and I liked our Samsung Galaxy J7s, but their cameras were terrible. We decided we wanted to upgrade, so I bought a Huawei Mate SE on Amazon. The phone was amazing--super thin, fast, good battery life. Best Eventual Decision, Phone Upgrade Category. Anne decided to upgrade to the Samsung Galaxy S9+, and it's a great phone. Good battery life, nice camera--flagship stuff. She ended up with the purple model. 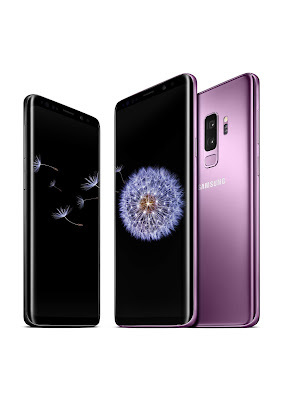 After I sent back my Huawei, I decided to upgrade to a Galaxy S9+ as well. Mine is blue and it's a great phone. I should've started there in the first place! Much-Needed Upgrade, Home Computer and Printer Category. The old PC was chugging along and I really couldn't do much to upgrade it. I'd maxed out the RAM (and that was 4GB!) 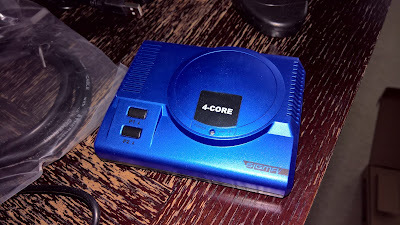 and couldn't do much in terms of upgrading the processor. 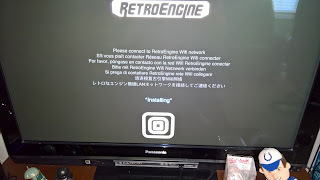 So I decided to get a new computer--although it's not exactly new. I found it on eBay; it has a Core i5 processor, fourth generation, with 16GB of RAM. This is so much better for editing podcasts and doing some light video editing! Bonus: I bought it from the Blind Center of Nevada, which sells refurbished electronics to raise money for its various programs! Most Unexpectedly Not Terrible Season, NFL Category. Some idiots predicted the Colts would be one of the worst teams in the NFL. I'll admit my expectations weren't high given the roster revamp, but predicting the team would only win two games was ludicrous. I thought, with Andrew Luck healthy, the team would hover around .500 and maybe finish at 7-9, 8-8, or 9-7 if things went exceedingly well. After a rough 1-5 start, they caught fire down the stretch and ended up in the playoff hunt. Darius Leonard should've made the Pro Bowl. Best Early or Late Christmas Present, Depending on How You Look at It, Football Coaching Category. Stay away, Josh McDaniels. We don't want you here. The Patriots offensive coordinator flaked out on the Colts after the Patriots lost the Super Bowl (poor Patriots). This meant the Colts ended up hiring Frank Reich, who's terrific. His only weakness is a penchant for going for it on fourth down a little too often, but I'll take some aggressive play-calling over a former Patriots coach with a punchable face any day. Best Game Day Experience, NFL Preseason Category. 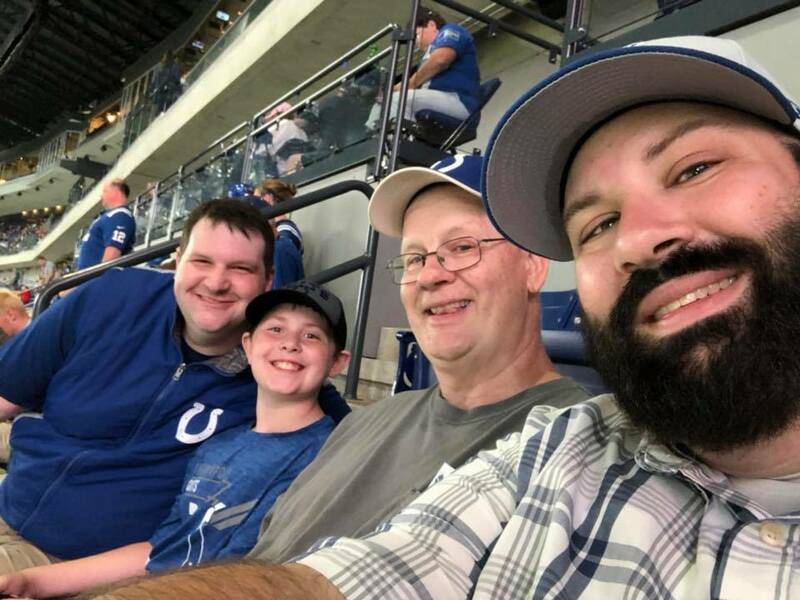 My dad, my brother, my nephew, and I got to see the Colts in person this year for a preseason game. I haven't been to Lucas Oil Stadium for several years, and it was the first time my dad and nephew had ever been there. Luke really enjoyed the game, and as a bonus, the Colts walked away with a win! Best Day at the Ballpark, Reds Still Stink Category. 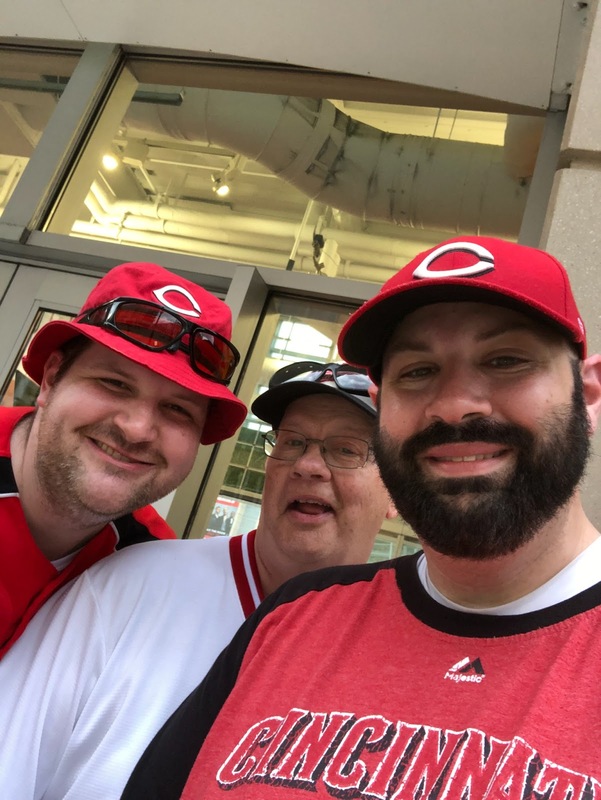 Even though the Reds aren't good, it's always a great time at Great American Ball Park. I went with my dad and my brother. Unfortunately, the game followed the usual script--the Reds got way down early and couldn't come back (even worse: it was against the St. Louis Cardinals). 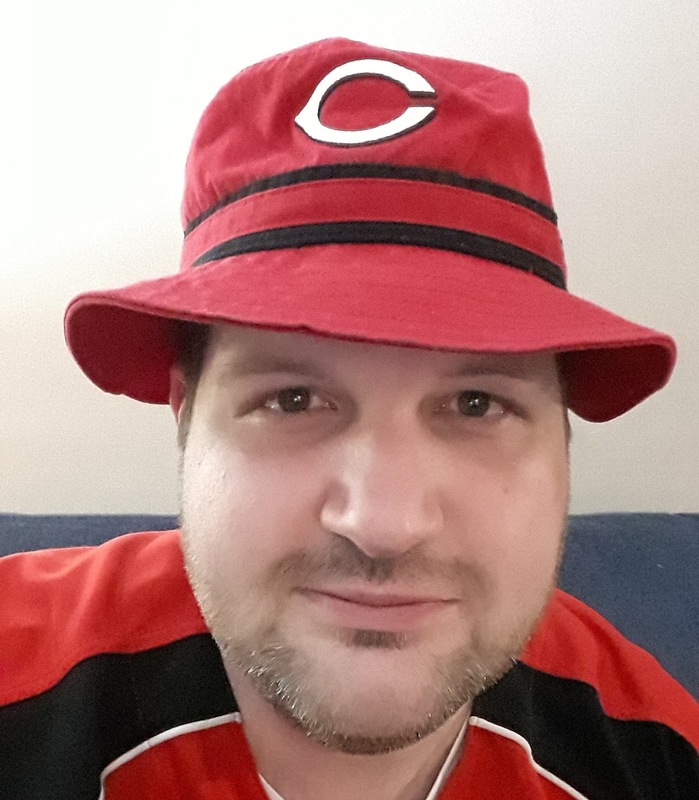 On the plus side, I found a stylish bucket hat. Best Weekly Timesuck, Podcast Category. In February, I decided to get into podcasting. I've really enjoyed it--sort of takes me back to the days when I did radio in college. I talk about movies, sports, and whatever else comes to mind. "Special Correspondent" Anne Adams also drops in frequently for movie reviews and analysis. I've produced more than 50 episodes this year and am nearing the one-year anniversary of the show. 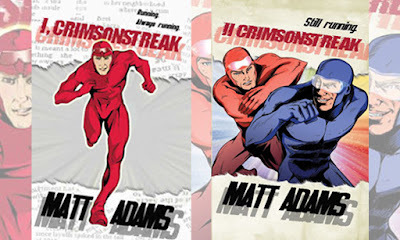 Oh, you can find The Matt Adams Podcast on iTunes and Shout Engine. Best Value, Movie Subscription Category. Anne and I go to the movies quite a bit. I'd looked into MoviePass before, but the service has its problems. Thankfully, AMC started its own movie subscription program called the AMC Stubs A-List. It's $20 a month for up to three movies a week. 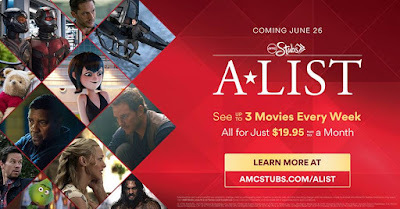 The service definitely paid for itself from June through August--and then AMC made some money off me from September through November, when new releases slowed down. We'll get our revenge in December, when Aquaman, Spider-Man: Into the Spider-Verse, Mary Poppins Returns, Bumblebee, Welcome to Marwen, and Holmes and Watson hit theaters. We did use it to see a few movies recently, including Ralph Breaks the Internet: Wreck-It Ralph 2 and Creed II. 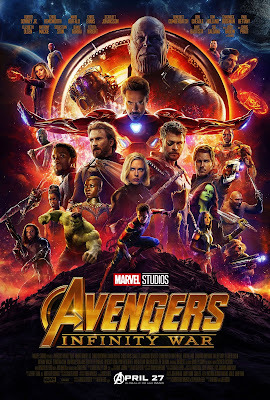 Most Overwhelming Movie Experience, MCU Category. Avengers: Infinity War was almost too much to process in one viewing. Anne and I saw it a couple times in its first week of release just to get a handle on it. That movie had everything: humor, heart, action, tragedy, and stakes (it didn't, however, have Hawkeye). And they punched you in the gut from the start. The Asgardians who'd survived Thor: Ragnorak couldn't escape from Thanos--not even Loki, the god of mischief himself. And then--the Snap. Yes, I realize Spider-Man has a new movie coming out in July. I know Black Panther is getting a sequel because you have to make a sequel to a movie that makes $1.3 billion at the global box office. I know Bucky and Falcon are getting a show on Disney's streaming service. That does not detract from the power and spectacle of it all--or from Spidey's desperate pleas to Tony Stark as he's swept away. Writing Year in Review. Honestly, I started off strong this year and didn't finish strong. I decided I wanted to make a book series about a turtle detective based on Willy and got about 75% finished. Then I put it aside to complete another project I'd abandoned called 16-Bit Heroes. 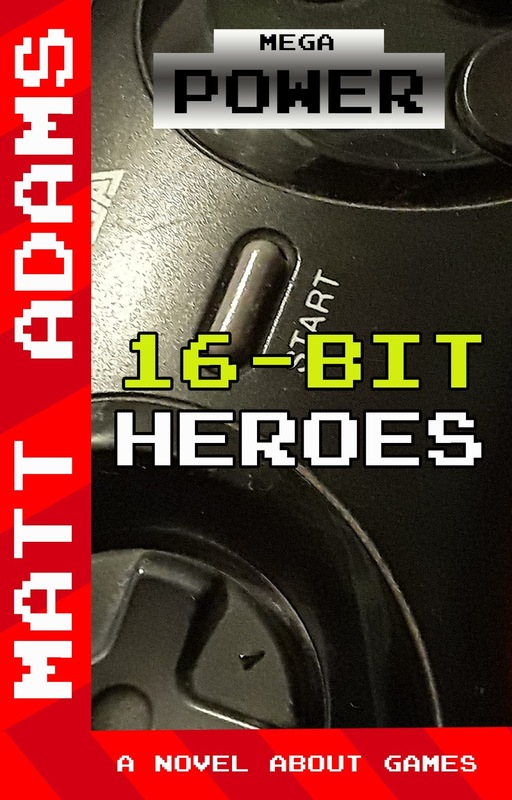 I did finish 16-Bit Heroes, which is a love letter to the Sega Genesis and kind of Tron-esque in basic premise (people get sucked into a video game). The first draft was absurdly large at 114,000 and I cut it down to 95,000 words. I still need to get this out to some beta readers (if you're interested, let me know). Jumanji: Welcome to the Jungle. Technically, this was a 2017 release we saw in January. So much fun! The Rock was hilarious, as were Kevin Hart, Jack Black, and Karen Gillan. The villain was forgettable, but the movie worked so well that I didn't even care. The Post. This one opened in limited release for the 2017 awards season but saw its nationwide release in January. Given the era in which we live--one in which people in power constantly lie about everything and will cover up anything--this was a timely movie reminding us why journalism is so important. Deadpool 2. I think I enjoyed the first Deadpool more, but you'll definitely get some real laughs out of this one. Too little screentime for Vanessa was a real shock and a buzzkill; I did like the X-Force and how the movie subverted your expectations on its formation and competence. Solo: A Star Wars Story. Poor Solo. 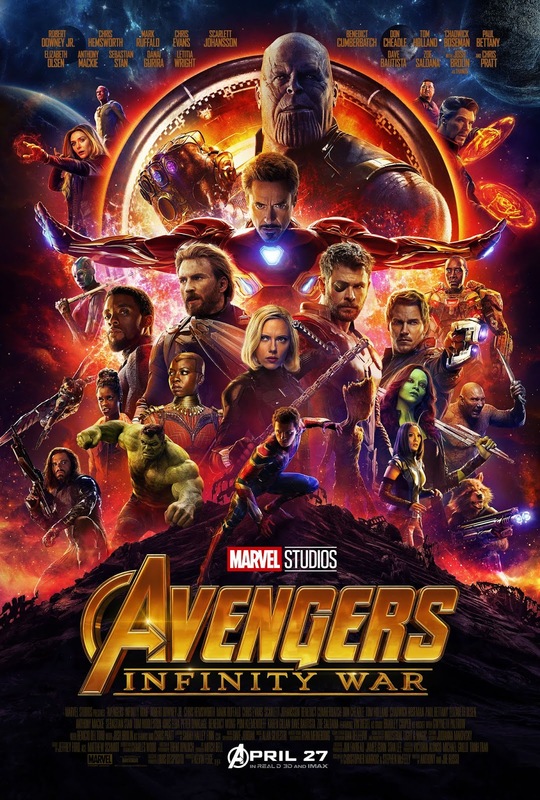 Disney decided to release this one a couple weeks after unleashing Avengers: Infinity War upon the world, and Solo suffered for it. The thing is, it's a rollicking adventure set in the Star Wars universe that's way more fun that it should be. It's not perfect--the "origin" of Han's last name is so freaking stupid--but the friendship between Han and Chewie and their interactions with Beckett and Lando make it worth it. Plus, Darth Maul! 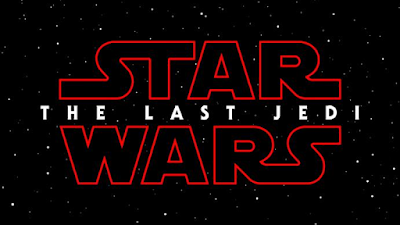 Really feel like Disney should've saved this one until December to give it more space between it and The Last Jedi. I miss having a December Star Wars release. A Quiet Place. The hidden gem of the year in a genre I don't typically like, people kept talking about A Quiet Place and Anne and I finally went to see it. Wow, Jim from The Office. I didn't know you had it in you. It's a tense movie that's incredibly well done. You care a lot about the characters and want them to get out alive (not always the case in these types of movies). And when the dad makes his fateful decision at the end, it's heartbreaking. Highly recommended. Jurassic World: Fallen Kingdom. Not as good as Jurassic World, this sequel still brings plenty of dino action. We get a little (and I mean a little) Dr. Ian Malcolm in this one, which is always nice. The leads are solid, the dinos pretty good (Blue especially), but the bad guys are a little one-note (still feels great when they get eaten, though). The movie messes with Jurassic Park history a bit by introducing John Hammond's "secret" business partner and redefining how we view InGen's genetic engineering program. Still an entertaining watch. Ant-Man and the Wasp. Though the Ant-Man movies have made money, I still feel like they're kind of Marvel's best-kept secret. What's nice is that these movies have lower stakes--no real world-altering, we're-all-gonna-die stuff here. 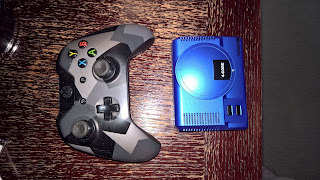 The stories are smaller (so is the hero!) and I feel like they really nail down the relationships with a great cast. The movies have a lot of heart and humor--and they're accessible to people who aren't highly invested in the MCU. Ocean's 8. All good fun as Danny Ocean's sister puts together a ragtag team to steal some stuff. It's pure heist movie hijinks with a charming cast and a tense finale. They threw in a couple little nods to Ocean's 11...but I'm not truly convinced Danny Ocean is really dead. I don't know if we'll ever find out, not that it really matters. Mission Impossible: Fallout. What a great run from Tom Cruise! His last three M:I movies are incredible, and this one is no exception. Ethan Hunt and company have to stop another grand scheme from another evil cabal with seemingly unlimited resources. Hunt gets kicked around, punched, and clobbered as usual. He's resourceful enough to save the day--even though he gets the snot knocked out of him. Nice villainous turn by Henry Cavill, too...yes, he of the sinister mustache (it's an easy joke). Disney's Christopher Robin. A sweet movie starring one of Anne's favorites (Ewan McGregor), I enjoyed this one quite a bit. Some people can't deal with the "realistic" versions of Pooh and company, but I found them charming. I kind of wish Hayley Atwell had a little more to do, but the denizens of the Hundred Acre Wood are cute enough. The movie's only drawback is some predictability, but you'd expect that from a family movie. Operation Finale. It's okay. I felt like this movie should've been more of a potboiler, a real edge-of-your-seat type of movie, and I didn't feel that way. It's still an interesting story about the hunt for a Nazi who escaped to Argentina and the Mossad team tasked with hunting him down. It didn't feel as visceral as something like Munich. Still worth a watch, though. The House with a Clock in the Walls. I'm not usually a fan of these types of movies, but this had kind of a Harry Potter meets The Sandlot vibe to it. Jack Black and Cate Blanchett clearly had a lot of fun with this one, and it does have a spooky vibe at times. I dug the setting and the house--it's a perfectly acceptable way to spend a couple hours. Fantastic Beasts: The Crimes of Grindelwald. Anne and I podcasted hard about this one, the latest release in the Wizarding World of Harry Potter. Overall, I liked it, though I didn't love the way the movie treated some of its characters (mostly Queenie). I would've liked to see some more creatures like the first Fantastic Beasts, but clearly that's not the direction the franchise is heading. Jude Law's great as a young Dumbledore and Johnny Depp is fine as the antagonist. The movie also contains a major revelation about the Dumbledore family that shocked a lot of fans. Ralph Breaks the Internet: Wreck-It Ralph 2. Entertaining and funny, I like how the movie explored the relationship between Ralph and Vanellope. The scene with all the Disney princesses is worth the price of admission alone! I don't think this one will be as fondly remembered as its predecessor because many of its references are extremely "now" and probably won't age well even within the next decade. It's still a fun watch, though, with a lot of heart and some great characters. Creed II. I didn't know I needed a reboot of Rocky IV, which this is in some ways. I loved seeing Dolph Lundgren back on the big screen, and his fallen idol version of Ivan Drago is incredible. He makes the most sensible and heartfelt decision of the movie at the end. Stallone is great in a role he's played for so long, and Michael B. Jordan returns as the titular character. This time, he rises, falls, and rises again. I just wished he would've taken Rocky's advice earlier in the movie! Oh, and Tessa Thompson is spectacular. With 2018 here, I'm working to build my brand as an author. That's my most significant goal for the New Year. Nothing's going to happen overnight, and it's not like I've been sitting back doing absolutely nothing over the last few years. I've written several books (I have 17 finished novels, 14 of which I would say are polished enough to submit somewhere). I've submitted, I've been through the query trenches, and I've come close a couple times. I'm not giving up on that--seriously, I'm not. However, as publishing changes, I'm changing my approach as well. I've dipped my toes into independent publishing (aka self-publishing) with a Kindle and print-on-demand version of an anthology of superhero stories. I'm learning the basics of formatting a book and cover design (shameless plug: you can get the Super Anthology on Kindle here or order the print version here). 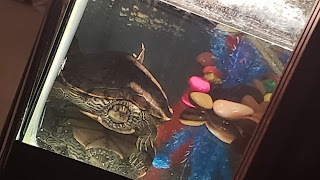 I have stories I want to share, and I need a way to get those stories out. Now it's time to try another new tactic: Kindle Scout. I'd describe Kindle Scout as American Idol for books. You take a finished manuscript, come up with some cover copy and a one-line description, and submit it. You then get 30 days to convince people that they should nominate your book. 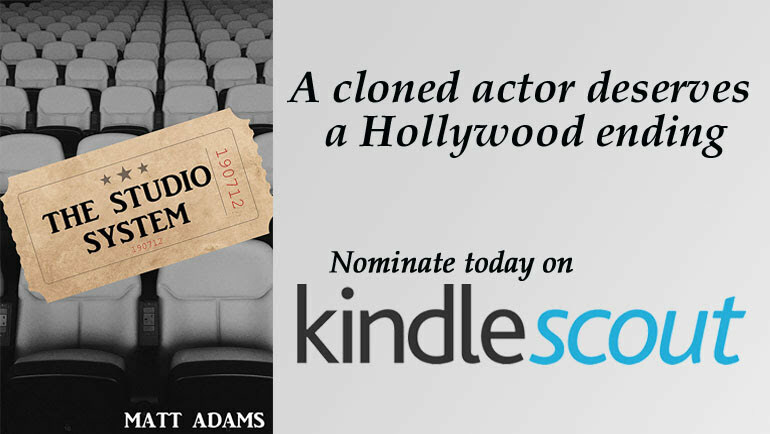 The more nominations you get, the better the chance that someone from Kindle Press will notice it. That could lead to a publishing contract. 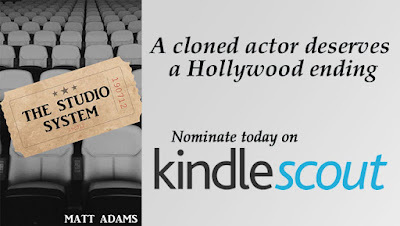 Everyone tells Will Evans he looks “just like” Trent Cary, the Oscar-winning star from Hollywood’s Golden Age. The unassuming video store clerk has never been able to explain his affinity for Cary’s work—especially the regrettable action schlock he made in the twilight of his career. When private eye “Rock” Morrison shows up at his doorstep, Will experiences a twist worthy of a Hollywood thriller: he doesn’t just look like Trent Cary, he’s a clone of the silver screen icon. And he's not alone. Here's the link to nominate the book! I'll see how it goes. After the campaign ends, you have to wait a while to see if it made the cut. If the folks at Kindle Press end up selecting it, everyone who nominated the book ends up with a free early release copy on Kindle, which is pretty cool. Biggest Family Addition, New Baby Category. On November 29, we welcomed little Lily into the family! 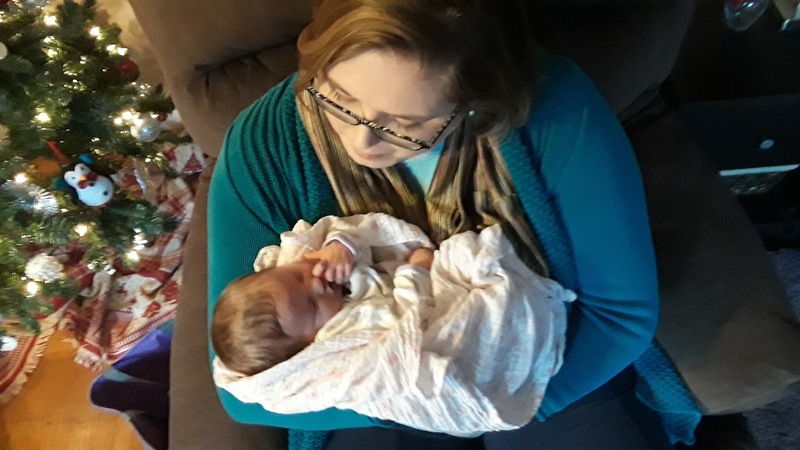 She's my newest niece--the daughter of my brother-in-law Tom and sister-in-law Tiffany--and the first grandchild on my wife's side of the family. She is absolutely precious and absolutely loved! I once held her for nearly an entire hour and she didn't cry, which is a major victory. My other nieces and nephew had a tendency to cry whenever Uncle Matt held them. Biggest Family Addition, Sister-in-Law Category. 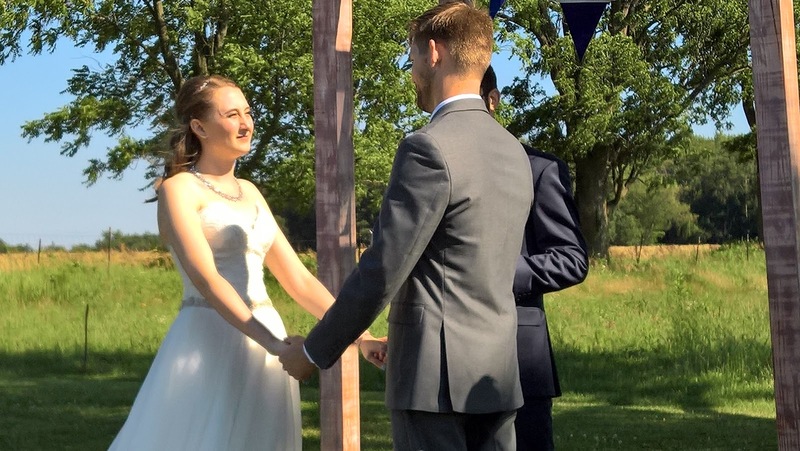 In July, the family hiked up to Charlotte, Michigan, for the grand wedding between my other brother-in-law and his bride-to-be. 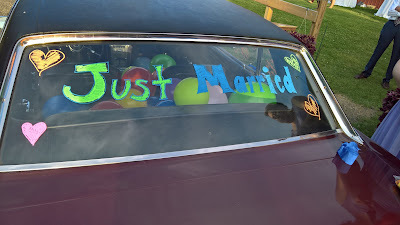 Matt and Leah's wedding was wonderful, even if my car's brakes went out on the way to Michigan (we made it safely and got them replaced when we got back). I even dusted off my old radio voice and served as emcee for the wedding reception, which was kind of a last-minute thing but worked out really well. It truly was a special event. Biggest Family Addition, Reptile Category. In October, we added Willy to the family. We used to have a frog named Prince, but he died a few years ago. 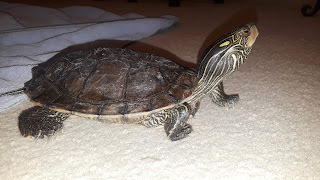 It's taken my wife and me a bit to get to a point where we wanted a new pet, but we reached that point this year. 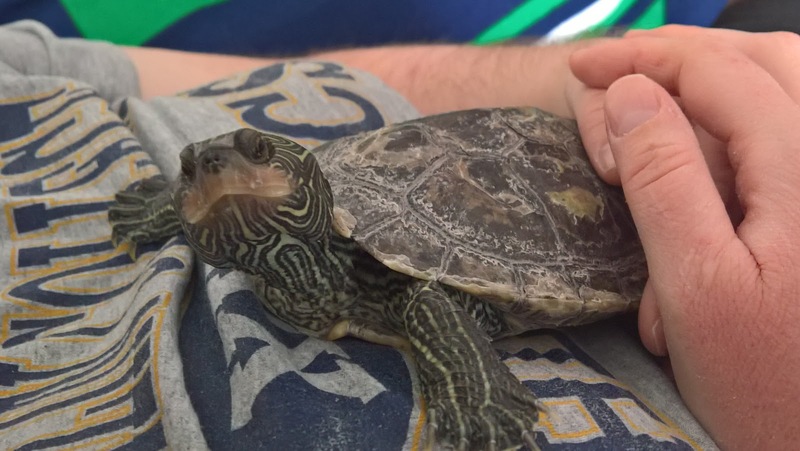 We first considered getting Russian tortoises, but then we discovered one of Anne's cousins had a 15-year-old turtle in need of a new home. 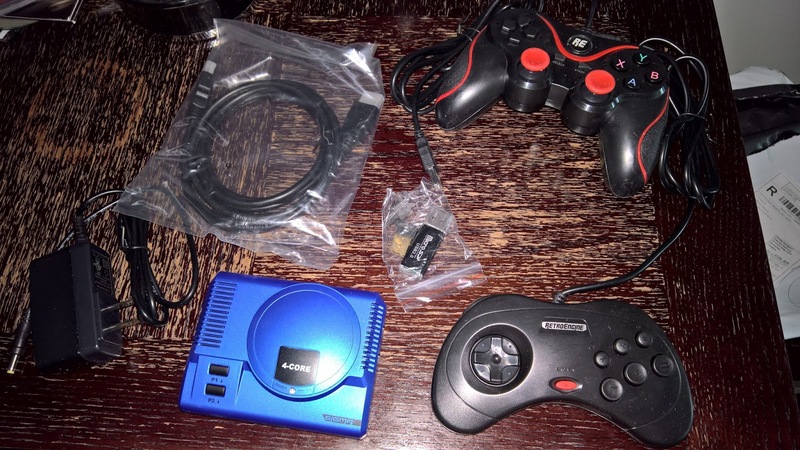 Biggest Indiegogo "Scam," Turns Out a Raspberry Pi Would've Been a Lot Easier Category. 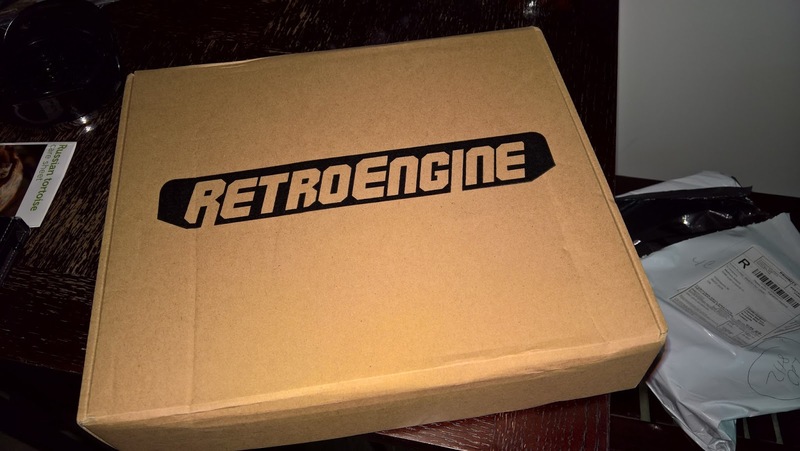 A company touted a retro gaming system that was "plug and play." They lied. Like--a lot. 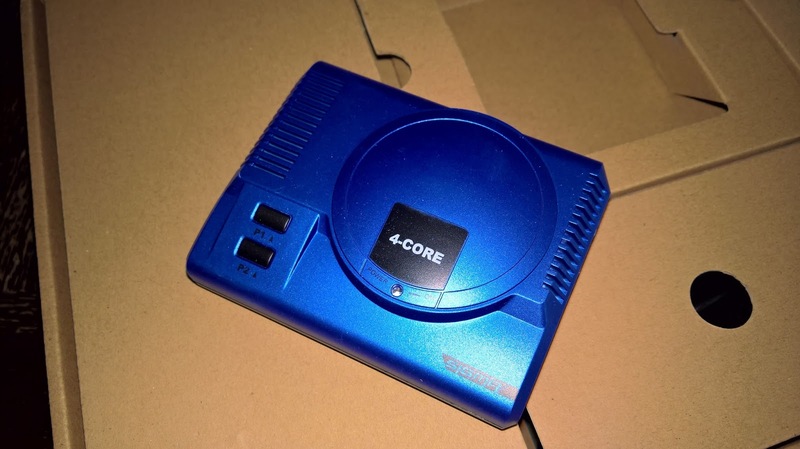 But I didn't know what I was doing and bought the RetroEngine Sigma, which was an Orange Pi slapped inside a Sega Genesis-like shell. 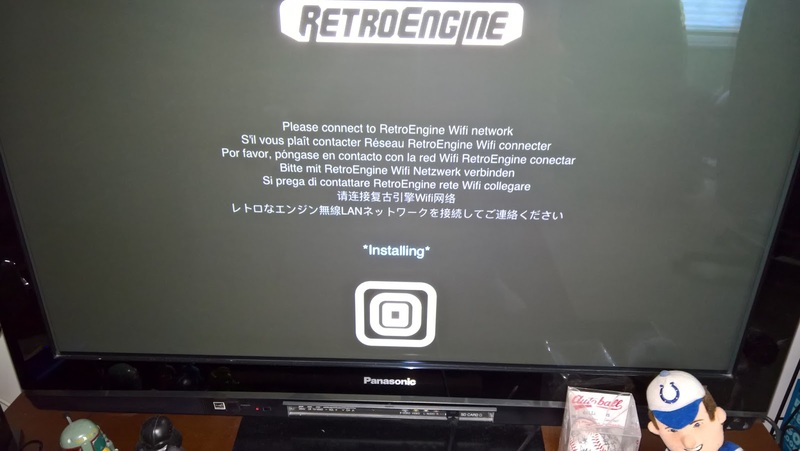 The included OS sucked and I tinkered with the thing before ultimately installing RetrOrangePi, which is superior in every way. I've gotten tons of enjoyment out of it, but I would've been better off buying a more powerful Raspberry Pi. 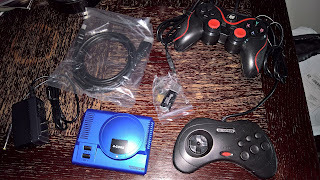 See, I bought the RetroEngine Sigma because I didn't think I'd be smart enough to mess with a Raspberry Pi. I was completely wrong. 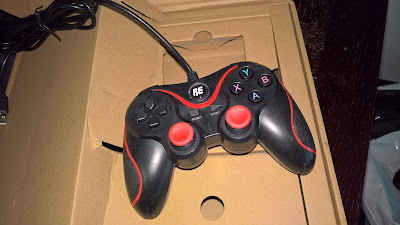 The controllers included with the RES were cheap and the included software was buggy as hell. Thankfully, a bunch of RES users formed a Facebook group and I learned how to get the most out of the system. Writing Year in Review. I finished three novels this year and, late in 2017, decided to self-publish an anthology of superhero short fiction I had lying around (you can find the Kindle version here or the paperback version here). 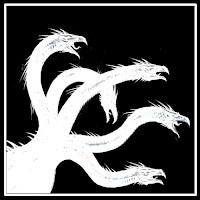 My Crimonstreak series will come back in a big way thanks to Hydra Publications, which will publish all three books, including III Crimonstreak. That means those of you on the edge of your seat about the cliffhanger in II Crimsonstreak will finally get some answers. I'm still looking for a literary agent for some of my other books. Most Surprisingly Polarizing Movie, Star Wars Category. It sounds like Star Wars: The Last Jedi was not everyone's cup of tea. That's fine. I need to see the movie a few more times to really get a feel for it. My initial impressions are mostly positive, though I didn't care much for the Canto Bight (casino world) stuff or any of the new characters (I'm referring to Holdo, Rose, and DJ--not the awesome characters introduced in The Force Awakens). I didn't get the Luke Skywalker I wanted to see--but then again, the Luke Skywalker I wanted to see wasn't in his 60s. 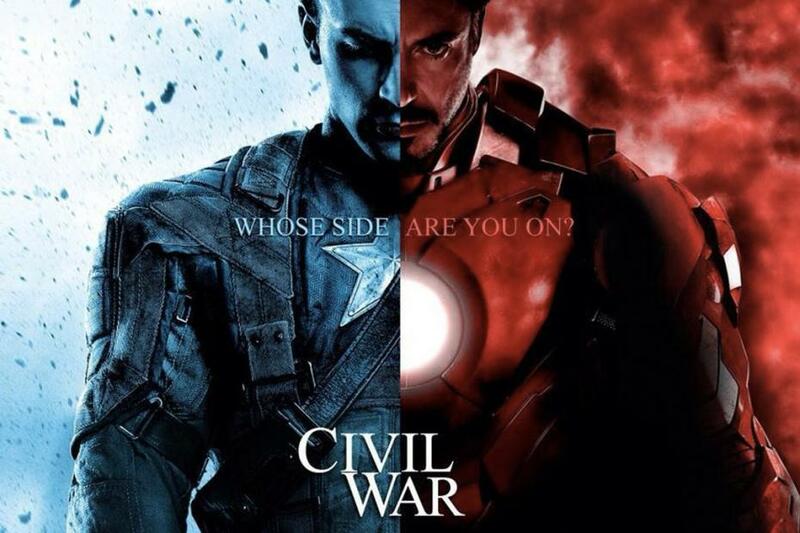 The movie subverted all expectations and took some major risks, and you have to give it credit for that. Most Pleasant Surprise, I Guess the Pacers Didn't Get Swindled Category. When Paul George's agent let everyone know the "beloved" Pacers star wanted to play in Los Angeles, the Pacers found themselves in a bind. It's kind of hard to trade someone when you have no leverage. However, the Pacers worked a trade with the Oklahoma City Thunder that shipped PG to OKC for Victor Oladipo and Domantas Sabonis. NBA analysts said the Pacers got swindled. In reality, it's worked out really well: Oladipo has turned into a freaking star and Sabonis has been fantastic. I've loved watching this team play. Most Peyton Manning-esque Injury Season, Indianapolis Colts Category. The Colts were an absolute mess this year. I thought Andrew Luck would probably play at some point this year, but I was 100% wrong. Shoulder surgery and lingering issues with the shoulder injury relegated him to the injured reserve in November. The Colts, in the midst of a rebuild, kept most games close but usually screwed something up in the end to lose most of their games. Props to poor Jacoby Brissett, the young quarterback/tackling dummy the Colts traded for when it became clear Luck wasn't coming back soon--and that Scott Tolzien wasn't gonna cut it. May he spend all of the offseason in a Jacuzzi or bacta tank. At least Indy will have a high draft pick. Best Star Wars Accessory, Vintage Inflatable Chair Category. 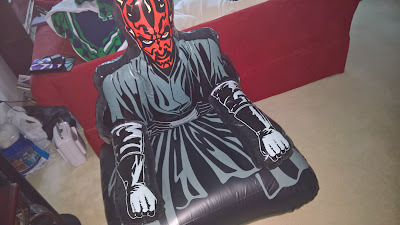 Earlier this year, I related a story to my wife about the Darth Maul inflatable chair that I had in college. I set it up and used it a lot, but the chair got a puncture somehow and I had to throw it out. What did Anne do? She searched for a Darth Maul chair on eBay and bought one! He now sits proudly in the living room. Oddly enough, he's one of Willy's favorite hiding spots. The dude loves to burrow beneath the dark lord. Best Membership, Large Retail Warehouse Category. It's safe to say Anne and I love our local Costco. Her parents bought us a membership for Christmas last year and we finally activated it in January. There's just something about buying six months' worth of toilet paper that I find immensely satisfying. They also sell a fantastic bottled root beer--and it pairs well with "The Mix" popcorn, which is sold in giant bags. Okay, well, everything at Costco is sold in giant quantities. 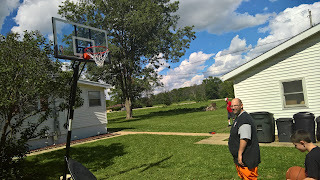 Most Laborious Installation Process, Basketball Goal Category. In June, my brother assembled a team to put together a new basketball goal for his "son and daughter." That team, coincidentally, consisted of him, my dad, and me. It took us hours to put the darn thing together. Seriously, it fought us every step of the way. We played a few games of HORSE on it, and then took a little break. Dad and I then watched as my brother shot baskets by himself and realized he'd completely scammed us. The basketball hoop wasn't for my niece and nephew at all. Hope you're enjoying it, Greg. Most Necessary Upgrade, Upstairs Bathroom Category. It's safe to say Anne and I pretty much hated the way our upstairs bathroom looked. Thing is, we're the only people who see it so we didn't do much about it. 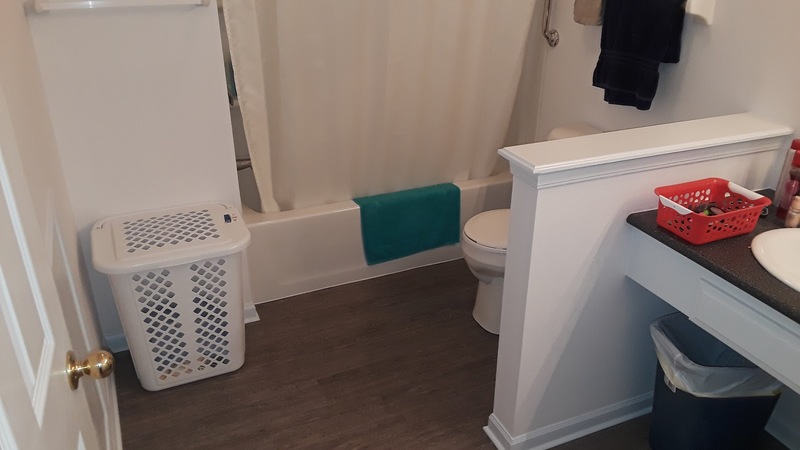 Then one day Anne's dad decided he was going to redo the upstairs bathroom. He and my brother-in-law Tom worked on it for a month or so. It turned out great! 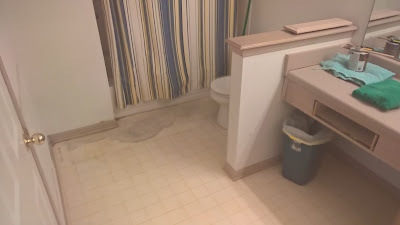 The only drawback: having to trudge downstairs to use the bathroom in the middle of the night. Best Concert, Anne's 2016 Christmas Gift Category. 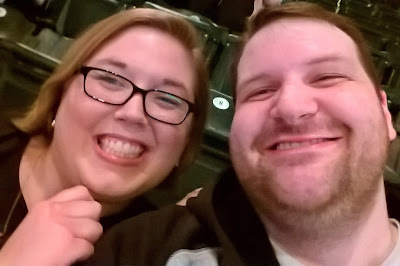 Anne and I went to see Neil Diamond in May at Bankers Life Fieldhouse. It was her Christmas gift last year. The man still knows how to put on a great show! 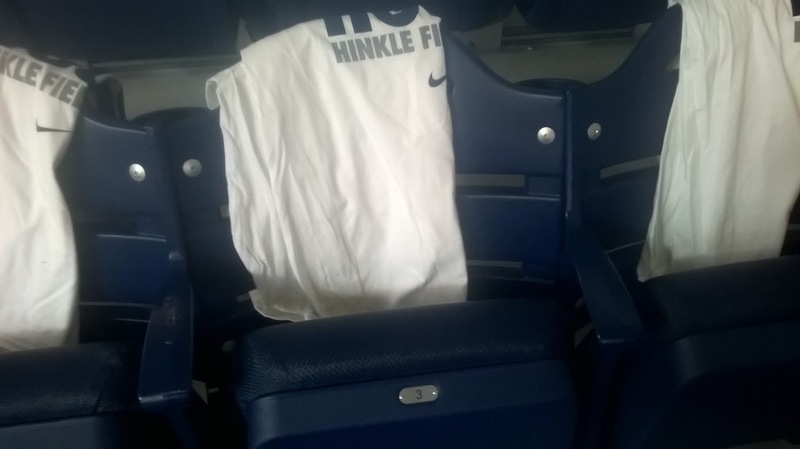 Our only complaint was that our seats were in a section of Bankers Life that was under renovation; as a result, the stadium seats were replaced with folding chairs. That didn't put a damper on the concert, however. Diamond, 76, sang all his hits and saved his best for the encore ("Sweet Caroline," "Cracklin' Rosie," "America," and "Brother Love's Traveling Salvation Show"). He also brought a nice touch to the Indy show, singing "Back Home Again in Indiana." His piano player, Tom Hensley, grew up in the Bloomington area. Logan. Since X-Men continuity is pretty much broken, you can do pretty much anything you want with a character like Wolverine. This movie felt more like a pseudo-Western than anything, but we got some great performances from Hugh Jackman and Patrick Stewart in what is supposed to be the swansong for Logan and Charles Xavier. Ultra violent, my only nag would be the use of a cloned Logan in the third act. Guardians of the Galaxy, Vol 2. I enjoyed seeing Star-Lord and the gang back in action, but I think Vol. 1 is the better film in the series so far. Make no mistake, this one was packed with some great moments and Kurt Russell and Mantis were welcome additions, but it didn't feel quite as solid as its predecessor. It did have one of the best lines of the year: "I'm Mary Poppins, y'all!" RIP, Yondu Udonta. Wonder Woman. The DC movie universe introduced us to Gal Gadot's Wonder Woman in haphazard fashion during last year's laborious Batman v. Superman: Dawn of Justice, but we finally got to see Wondy in her own movie. This movie basically serves as the Captain America: The First Avenger of the DC universe, eschewing the WWII setting for WWI. Gadot was pitch-perfect as the titular character and brought Chris Pine along for the ride. The final battle devolved into that Doomsday/CGI-heavy fight thing the DC loves, but the movie was thrilling and charming enough that a weak final battle can be overlooked (kind of like the final fight in Iron Man, which, let's be honest, wasn't that great of a battle). Spider-Man: Homecoming. Want some Tony Stark in your Spider-Man? No? Too bad! I really like what Marvel did with the latest theatrical version of Spidey. Tom Holland was a lot of fun in Captain America: Civil War (if introduced a little haphazardly, like Wonder Woman), and he shines in this movie. Add in some Tony Stark, a little Happy Hogan, a great villain in Michael Keaton, and it truly was a memorable homecoming for the web-slinger. Thor: Ragnorak. Probably the most fun you'll have in theaters this year, Thor: Ragnorak brought back the god of thunder and his brother Loki (he's adopted) for an intergalactic romp packed with lots of laughs and plenty of "Hulk smash!" Most of the gags landed, with my favorite being the "Get Help" scam Thor and Loki have obviously run tons of times. Too bad about Asgard, though. Wait...I hear it's a people and not a place or something? Also, we hit peak Goldblum in this one. Justice League. The tone was all over the place, the product of two different directors with divergent styles and goals plus lots of interference from Warner Bros. That said, I thought Justice League was a lot of fun. The movie had lots of ground to cover and felt rushed because of the two-hour runtime and the number of characters smashed into the plot; it needed some more time in the cooker and a little longer runtime to make it all coalesce. I liked the new characters (the Flash, Cyborg, and Aquaman) and was glad to see Superman return. Audiences didn't respond that well to the movie or poor Henry Cavill's CGI'd upper lip. The LEGO Batman Movie. Pretty much a series of extended Batman-ish skits, this one was a lot of fun. I loved Robin in this movie ("Hello secret camera!") and all the shout-outs to the different past versions of Batman. The only complaint: this movie could've stood to step back for a minute to take a breath. Assassin's Creed. We saw it although I barely remember anything about it. Beauty and the Beast. Disney hits another remake out of the park with this live-action-ish version of its Best Picture-nominated animated musical. My favorite part of the movie was Luke Evans' Gaston. Most of the big moments landed, and I even liked the new songs. The Boss Baby. Alec Baldwin voices a baby. Another one I barely remember. The Fate of the Furious. Charlize Theron had weird hair. Bad guy Jason Statham is now one of the good guys. I don't know any of the characters' names aside from Vin Diesel's, whose name is Dom. Everyone else I refer to as the actor who plays them. Oh, and The Rock threw a torpedo. On the ice. King Arthur: Legend of the Sword. There were a couple Game of Thrones actors in this one, including Littlefinger. Jude Law had fun. I'm not sure anyone else did. Pirates of the Caribbean: Dead Men Tell No Tales. This one felt more like the first one, which is a compliment. They wisely tamped down on Johnny Depp and let some of the other characters take the spotlight. Dunkirk. In many ways, Dunkirk is the war movie you don't expect. Christopher Nolan tells the story in multiple parts that are shown chronologically out of order and then come together near the end. Artfully done and masterfully acted, you'll be disappointed if you expected something a little more traditional from a narrative standpoint like Saving Private Ryan or Band of Brothers. Despicable Me 3. I liked the first two, but when a movie series goes the "secret twin brother" route, you know they're out of ideas. War for the Planet of the Apes. Astounding visuals and surprisingly compelling characters make this an incredible finale for the three-film rebooted Apes series. Andy Serkis will probably never win an award for his work as Caesar, but he totally should. The LEGO Ninjago Movie. Like LEGO Batman, this is pretty much a series of extended skits in LEGO form. 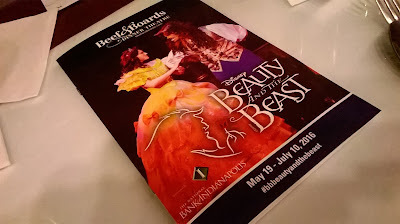 Pretty entertaining but also kind of forgettable, although I did have a pretty good time. Murder on the Orient Express. This adaptation of the classic Agatha Christie boasted an A-list cast. A couple relatives of mine said they fell asleep during the movie, but I found it pretty compelling. Star Wars: The Last Jedi is the best Star Wars movie ever made. 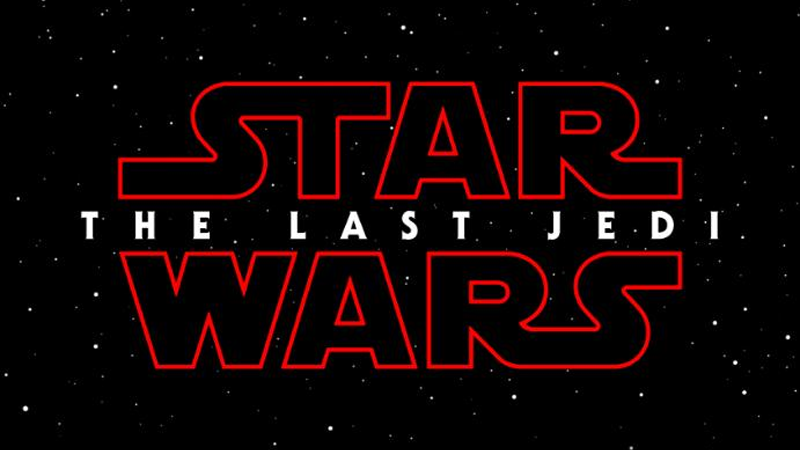 Star Wars: The Last Jedi is the worst Star Wars movie ever made. That seems to be the general reaction to the latest addition to the Star Wars saga. It's a divisive film. In some ways, it takes the series off in bold new directions; in other ways it serves as a big "FU" to longtime Star Wars fans. It's big, bold, audacious, tragic, disappointing, nonsensical, brilliantly written, terribly written, and both builds upon and destroys the sturdy foundation built by The Force Awakens. Here are my thoughts on the movie. Kylo Ren. How did this guy become such a compelling character? He was an easily memed "Vader fanboy" in the TFA, but The Last Jedi turns him into an incredible villain. He is haunted by his past but is determined to destroy it. In fact, I believe that's the central message of the movie: "Let the past die. Kill it if you have to." He pulls a fast one on Supreme Leader Snoke and kills him while trying to make Rey his own apprentice so they can rule the galaxy. It, um, doesn't work out. Rey. She is so certain that the "Legend of Luke Skywalker" can save the Resistance, but she finds out the reality is something else entirely. Still, she knows the situation is dire and refuses to give up. She follows the Jedi Master around "Stairmaster Island" and tries to convince him to train her in the ways of the Force. Like Luke in ESB, she's headstrong and concerned about the fate of her friends. She rushes off to save them and hopes she'll be able to find goodness in Kylo. She's very, very wrong. Luke Skywalker. It was fantastic seeing Mark Hamill back on the big screen. I didn't get the Luke Skywalker I wanted, but I also understand I got the Luke Skywalker this new generation of Star Wars movies needed. He is haunted by his past and by his own legend. He saved the galaxy only to see evil rise again in his nephew. Luke resolves to stay on the sidelines until prodding from Rey and R2-D2 convinces him to train her. It's a wonderful character arc, even if it doesn't satisfy 30+ years of expectations. I'll be honest: I wanted to see Luke wreck shop and ignite the green lightsaber. I wanted to see him stare down a hundred First Order stormtroopers and dispatch them with a single gesture. I wanted him to raise his hand and collapse those First Order walkers, deflecting their blaster bolts with his lightsaber. That isn't what happened. Instead, Luke Skywalker cut himself off from the Force and went to the island to die. He couldn't live with what he almost did to his nephew; he couldn't live with what happened to his students at the Jedi training temple. He ran and hid, which is a very un-Luke Skywalker thing to do. This guy blew up the Death Star! He survived two duels with Darth Vader--and won the second one! He brought down an AT-AT on his own! But young Luke Skywalker did those things. He, like Obi-Wan before him (let's think about this in terms of OT Obi-Wan and not prequel Obi-Wan) thought he could train new Jedi as well as Master Yoda--just as Obi-Wan thought he could train Anakin. Luke was wrong, just like Obi-Wan. Luke bought into his own legend, and the results were catastrophic. As the Jedi of the Old Republic fell by their own hubris, so did Luke Skywalker. Having Luke fly his X-Wing onto Crait and confront Kylo Ren and the First Order wouldn't have made sense for the Luke Skywalker the movie presented us with. Again: "Let the past die. Kill it if you must." In the end, Luke shows he's the most powerful Jedi ever by using a Force projection to buy time for Rey, Leia, and the Resistance. The exertion is too much for him, and he becomes one with the Force. It's a bittersweet moment and a fitting end for him. I hope we'll see Force Ghost Luke in Episode IX. The more I thought about it, the more I liked Luke's character arc. It made sense for him to go into exile--just as Yoda and Obi-Wan did. Porgs. They were adorable and didn't get in the way of the movie. That scene where Chewie was about to eat a cooked porg was really funny. Snokescreen. Supreme Leader Snoke was positioned as the new Emperor Palpatine, the kind of uber-powerful Force-wielder who'd pull the strings and bring the galaxy to its knees. I expected him to be dispatched in the final movie of this new trilogy, but that's not what happened at all. Instead, Snoke was Kylo Ren's final test. Kylo turned the tables on him and killed him. Like Palpatine before him, Snoke's overconfidence was his weakness. Now Kylo Ren is the supreme leader and ultimate villain of this trilogy. General Leia. It's a shame we won't get to see Carrie Fisher complete Leia's arc. She was great in this movie, bringing gravitas and desperation to the plight of the Resistance. I love the idea of Leia using the Force, though I'm not sure I'm thrilled with how the movie executed that. I also kind of rolled my eyes at using the well-worn trope of putting someone in a coma to provide some artificial drama. The Force. From Luke's Force projection to Jedi Skype and Force Ghosts that can interact with the physical world, TLJ expanded the Force in some exciting ways. I liked that it made that "hokey religion'' a little more mystical in the process. The Force is spiritual again. The truth is, we don't know that much about the Force; the movies don't tell us much about how it works. The movie shows us that the Force is much larger than we thought. Things go wrong. This is the second act of a three-act story, so stuff is supposed to go wrong. Oh, man, does it go wrong. Poe's plan results in lots of people dying, Rey's plan to get Luke on her side goes wrong, Rey's plan to redeem Kylo goes sideways, Finn's mission to beat the First Order backfires. We're used to seeing these types of gambits go in the heroes' favor, but that didn't happen this time. Artoo's message. Luke is beaten and broken in this movie, but Artoo pulls a "cheap" move by bringing back Princess Leia's message to Obi-Wan Kenobi from Star Wars. That moment tugged at my heartstrings. Yoda. Honestly, I initially thought puppet Yoda still looked kind of weird. I also thought, while he was cantankerous in Empire, that his goofball shtick was a little out of character. However, as is the case with Yoda, there's always more to it than you think. His ability to set the Force tree on fire also gave some added depth to Obi-Wan's warning to Luke before he rushed off to Cloud City: "If you choose to face Vader, you will do it alone. I cannot interfere." I always wondered why Obi-Wan said that. I mean, the dude's a blue ghost! What could he do--appear in front of Vader to tick him off? Now I see it's possible that Obi-Wan could've physically intervened to help Luke. It's interesting to see a new spin on a movie that's nearly 40 years old. Still, it was good to see Yoda and to learn he has more lessons to teach. Canto Bight. Ask just about anyone what didn't work for them in this movie--even people who loved it--and they'll probably say the Canto Bight subplot dragged. I think the movie really struggled with finding something for Finn to do and wanted to find a way to expand Rose's character. I don't think Canto Bight came off the way the director wanted. This should've worked like the cantina scene or Jabba's palace/sail barge. Or, really, even the "sports bar" the Attack of the Clones. It didn't work at all. It felt tacked on and I never felt like Finn & Rose were in any real danger. 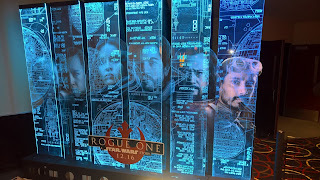 Secret Rebel Alliance decoder rings? I know some senators used to wear them back in the day, but they were never introduced in the movies, so that fell flat. The concept of war profiteering and playing both the First Order and the Resistance against one another to make money was an interesting idea, but the execution was lacking. The Canto Bight subplot was useless. We didn't gain much from Canto Bight. It didn't reveal much about Finn's or Rose's character to the audience. They never had to make a tough decision during the whole thing. Aaaaaand they really shouldn't have gone there in the first place because Admiral Holdo shouldn't have withheld information from Poe Dameron. I get it: Poe's a hothead. His refusal to follow Leia's orders at the beginning put the Resistance in peril. His decision to give Finn and Rose the go-ahead on their mission almost resulted in the destruction of the whole Resistance. Unless Holdo thought Poe was a spy, however, she shouldn't have withheld the information about their real strategy from him. All it did was make a mess of things--a mess you're supposed to blame on Poe, Finn, and Rose, but was really Holdo's screw-up. Canto Bight was plot-driven, not character-driven, and that's why it failed. What a waste of Laura Dern. Laura Dern's a great actress. Holdo should've been an interesting character. She wasn't. Why cast Laura Dern if you're gonna throw her away in one movie? I mean, she went out in a hell of a way with the hyperspace battering ram thing (which was awesome! ), but her character meant nothing. She was just an obstacle to Poe's character and a tool to provide some growth for him and propel the whole Canto Bight thing. You know what they should've done here? Instead of creating Admiral Holdo specifically to throw her away in a self-sacrifice that was cool but had little emotional stakes, give that moment to another character. I would've put Admiral Ackbar in charge of the fleet after Leia was injured (although I think I wouldn't have put Leia in a coma in the first place!). Instead of having Ackbar die like a chump, have him slide into the Holdo role and make the big sacrifice. It would've had more emotional impact on Star Wars fans because, though he doesn't have a ton of screen time in Return of the Jedi, the audience knows who he is. DJ. After first viewing of The Last Jedi, I didn't care for Benecio Del Toro's character. However, I missed a key scene because I had to use the restroom: the scene where he shows Finn that the rich people on Canto Bight are selling weapons to both the Resistance and the First Order. He tells Finn not to "join" anything. That scene makes a huge difference for his character, and I had an incomplete reading of him the first time around. I liked him much more the second time I saw the movie. Yeah, he sold out our heroes, but he pretty much made it clear that's what he does. I liked how he occupies that gray area in the Star Wars universe. He suggested something along the lines of "they blow you up today, you blow them up tomorrow" as he was leaving. I wonder if we'll see him again. But even if DJ was a good addition to the movie, that still doesn't make up for the Canto Bight subplot. The First Order's plan was pretty dumb. The Resistance ships could stay out of range of the First Order big ships because they were faster at sublight speeds. Got it. No problem. The First Order didn't want to send starfighters out of range because starfighters rely on the protection of capital ships to operate at peak efficiency. Okay, got it. No problem. The First Order knows the rebels will run out of fuel soon and will just keep chasing them until they run out. Um, okay. So why didn't the First Order, knowing full well the heading of the Resistance ships, jump a few capital ships on an intercept course that would've sandwiched the Resistance between two First Order fleets? I mean, maybe the First Order was too busy using the rest of its resources to subjugate the entire universe, but I would think destroying the Resistance would be priority one. I suppose there's also the likelihood that the destruction of Starkiller Base crippled the First Order's military, but it seems pretty clear to me that the First Order is incredibly powerful and well-equipped, even with the loss of Starkiller Base. The score. As I'm writing this up, I'm listening to the musical soundtrack, and it's really good. John Williams brought back a lot of music from the original trilogy and used it in some different ways and arrangements. I liked The Force Awakens soundtrack (especially Rey's theme and the Resistance theme), but I think The Last Jedi is a stronger effort. 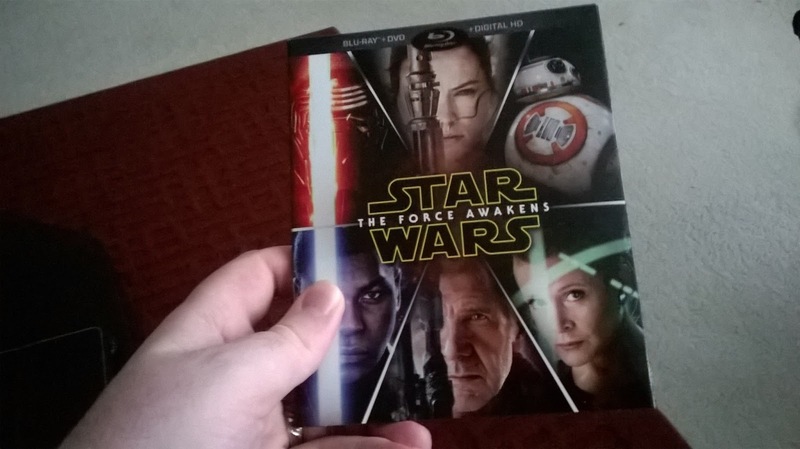 The score feels like it plays a much more integral role in the movie than in Episode VII. In conclusion. The first time I saw The Last Jedi, I was so overwhelmed that I couldn't really tell if I enjoyed it or not. I had to reflect on it for a few days before writing out my thoughts. A second viewing really provided some clarity. I still have some issues with general plotting--mostly anything that doesn't involve Luke Skywalker/Rey/Kylo Ren has some structural gaffes and logic problems. That said, the fact that Luke Skywalker embraces his legend at the end makes everything worth it. And when Luke steps into the cave on Crait and has his moment with Leia, I got emotional. Knowing what's coming really has an impact, and we're allowed to once again embrace the Legend of Luke Skywalker. And I didn't even mention how awesome the throne room scene with Rey, Kylo, and the praetorian guards was! It's been a long, long time since I've blogged about writing. Heck, it's been a long, long time since I've blogged at all. My last post was for the new year, my annual "Studicus Selects" roundup. Why have I gotten away from blogging? I'm not sure, really. 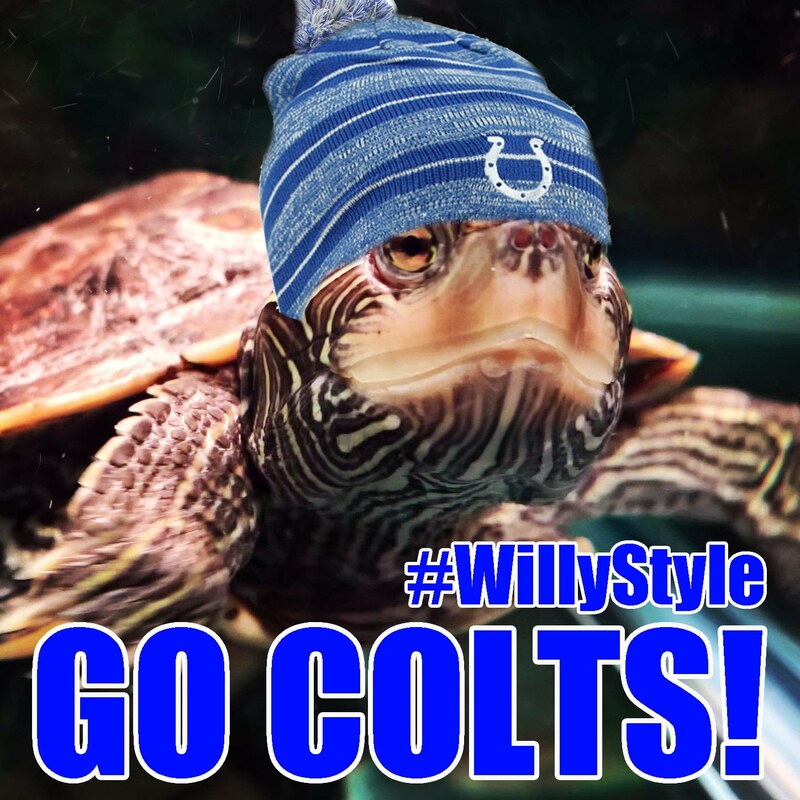 I stopped writing about Indianapolis Colts games because I found myself so intent on analyzing them and making observations that I stopped enjoying the actual games. Seriously, I'd sit in front of the TV with a laptop and make notes, and then rush to post a story after the game was over. It probably hasn't helped that the Colts have been completely mediocre since their memorable defeat at the hands of the New England Patriots in the "DeflateGate" game. But while I haven't been blogging, I have been writing. I just finished the first draft of my 16th novel! It's pretty incredible to think about it. I have 14 books that I consider "ready" or "nearly ready" for submission. Two of the 16 are recently finished drafts that need tons of polish. I've sent out several query letters for books, and I've come close a couple times. A partial request here. A full request there. Just nothing that quite makes it all the way. A few years ago, I probably would've sulked and stopped sending queries. But you know what? Books don't publish themselves. You can't get published if you don't submit. So I keep at it. I've got a funny superhero series with the Crimsonstreak books. The rights have reverted back to me, and I'm going to finally resolve the huge cliffhanger from book two with the third book. Can't say much about it right now, but expect some news soon. I have another series that's superhero related, but it's more serious in tone. For a long time I referred to these books at The Franchise series, but I've rebranded them as the OMNI series. They've got a cool retro-futuristic vibe and I'd describe them as a more hopeful Watchmen. I've written in some genres I didn't expect. I churned out a paranormal fantasy and a YA epic fantasy. I wrote a middle grade book based on a "novel" I wrote when I was in sixth grade (obviously, I expanded the story and characters quite a bit). I even wrote, God help us all, a book called Timey Dancer based on some interactions I had with a friend and my brother on Facebook. It's about a male stripper who goes back in time to save Julius Caesar through the power of pole dancing and 80s music. That's pretty much where things stand right now. 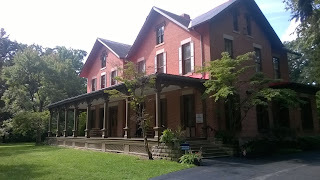 I attended the Midwest Writers Workshop last year and had a blast. I also went in 2010, when I thought I knew a ton about writing and publishing. I'm a lot smarter now and realize that there's a bunch of stuff to learn. I couldn't quite make it for the 2017 edition, but I'm hoping to attend Imaginarium in Louisville in October. Worst pre-ordering fail, large online retailer category. I usually don't pre-order items because you'll usually find plenty of stock at the store (NES Classic excepted, of course). However, I was super excited about the arrival of Star Wars: The Force Awakens on Blu-ray and pre-ordered it from Target. While friends who ordered their copies from Amazon got them on the day of release, I waited and waited for my precious copy to arrive. It finally came Saturday morning. 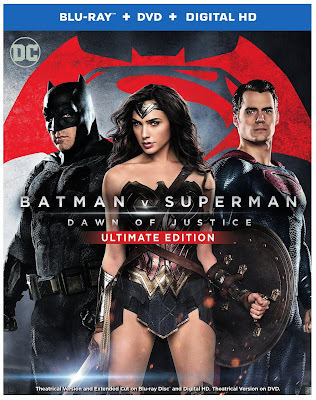 The Blu-ray was released on the previous Tuesday. Best sports adventure, brothers category. 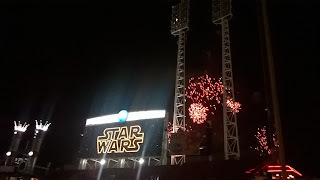 Proving that 2015 was a giving year, my brother and I went to see the Cincinnati Reds on Star Wars Night. This was a 2015 Christmas gift from our mother that combined our two favorite things: baseball and Star Wars. 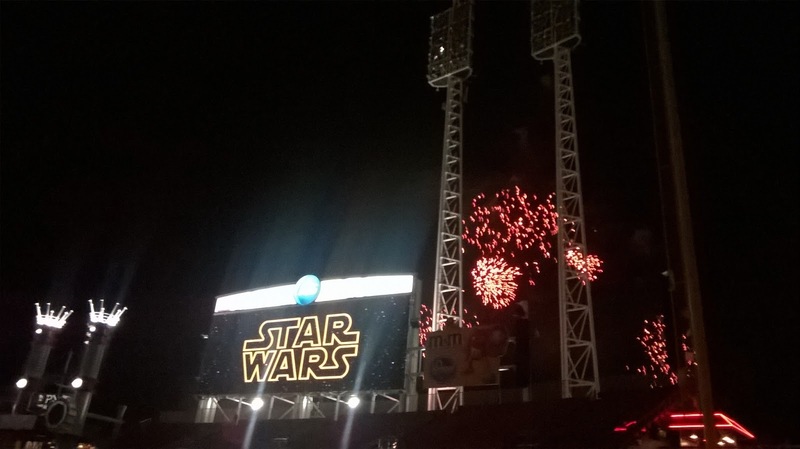 It was notable for a couple reasons: 1) the Reds won (they didn't do that a lot last year) and 2) there were fireworks set to John Williams' iconic Star Wars themes. It was awesome. Best sports adventure, father-in-law category. 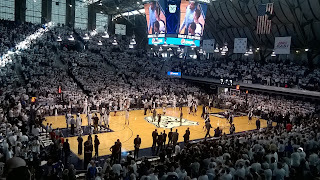 Before 2016, I'd never been to Hinkle Fieldhouse. That all changed when my father-in-law took me to a game in February. The Bulldogs lost to Xavier, but it was a great experience. We even got t-shirts because it was a "whiteout!" Best spoof, Star Wars: The Force Awakens category. I'm so happy Adam Driver was game for this. He reprised his role as Kylo Ren for a fake episode of Undercover Boss. First Order Force wielder/patricide enthusiast Kylo Ren portrayed "Matt the Technician" for a truly memorable sketch with some laugh-out-loud moments. "I'm 90% sure Matt is Kylo Ren." "After the rain comes the rainbow. Sorry I killed your son." "Kylo Ren is a punk b****. That guy looks like he weighs 30 pounds soaking wet underneath that little black dress." Best get out of the house experiences, couples category. 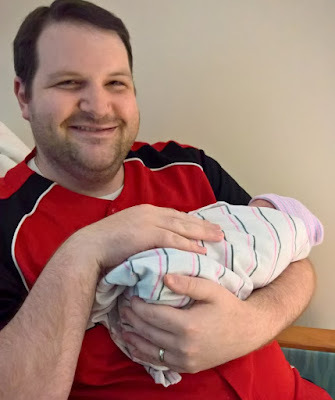 My wife and I haven't always had the opportunity to get out that much, but we did a couple really cool things this year. 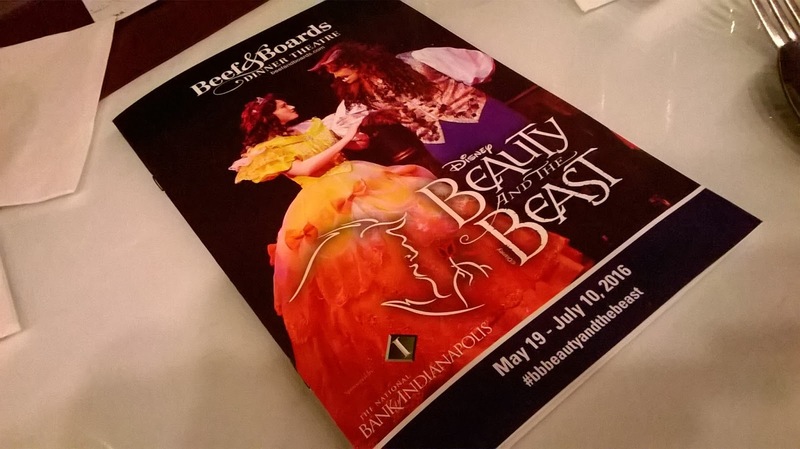 In July, we saw Beauty & The Beast at Beef & Boards. 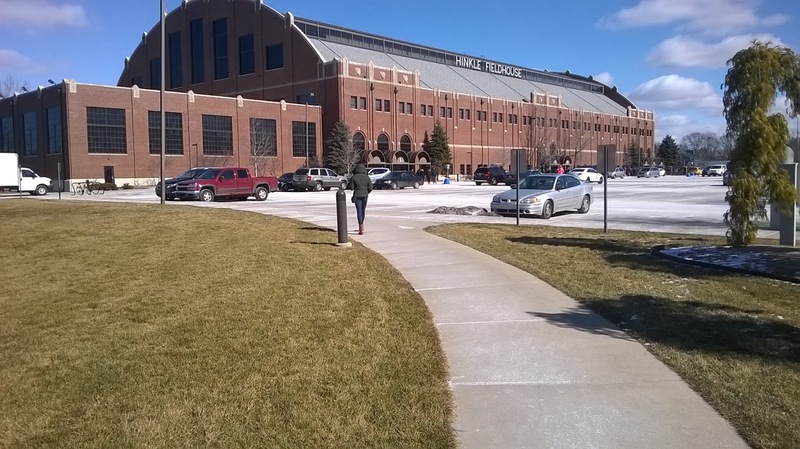 One of our first big dates in college was going to see the traveling version of the show in Indianapolis. Anne loves Beauty & The Beast! 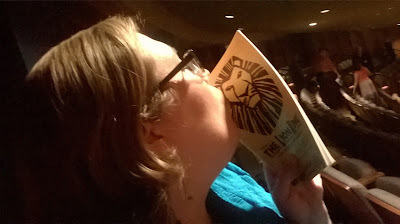 She's also always wanted to see the stage version of The Lion King. We traveled to Dayton to see that. I bought Anne the soundtrack, which came with a free Lion King tote bag. 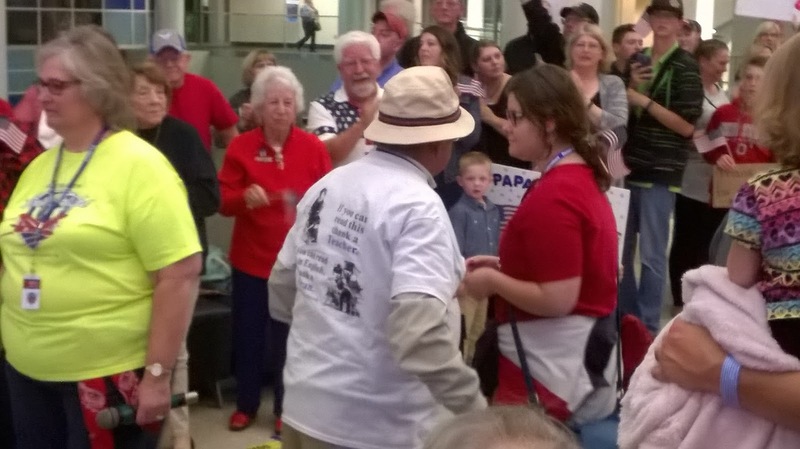 Most touching welcome back ceremony, great uncle category. My Uncle Morrie took part in an honor flight to Washington, D.C. Anne and I traveled to Columbus, Ohio, to welcome him and a large group of veterans back from their trip. These men fought for their country and we're losing more of them by the day. 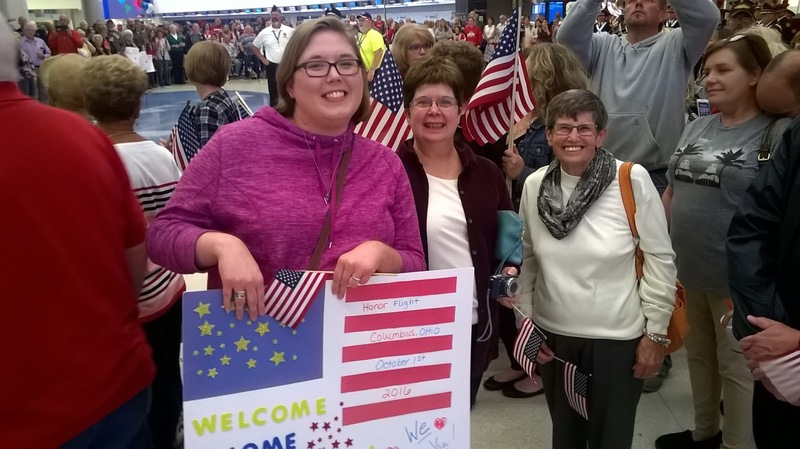 I think they got the heroes' welcome they deserved, no matter which war they fought in. I should probably also mention that we used the trip as an excuse to "do history" and stopped by the Rutherford B. Hayes home in Fremont, Ohio. By the way, there's no quick way to get between Fremont and Columbus. Saddest passing, family category. 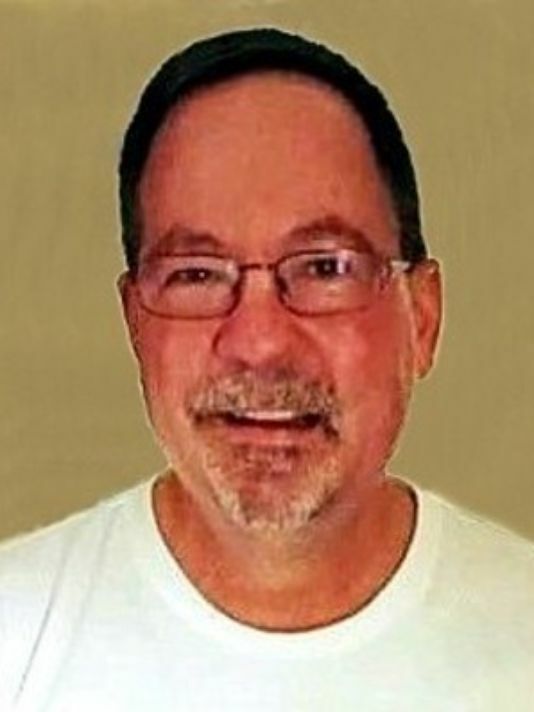 We said goodbye to a good man this year when my brother's father-in-law, Mark Gardner, passed away in December. Mark was an incredibly smart man with a great sense of humor. We loved him even though he was a Kentucky Wildcats and Pittsburgh Steelers fan. He always had a kind word and a quip whenever I saw him, and he never failed to ask how Anne and I were doing--and he genuinely cared about the answer. We mourn the loss, but we know Mark's in a better place free of pain and watching over his family from above. Remarkable comeback, knee surgery category. My father has had bad knees for as long as I can remember, and things had gotten worse over the last few years to the point where he's been in pain and unable to enjoy much. 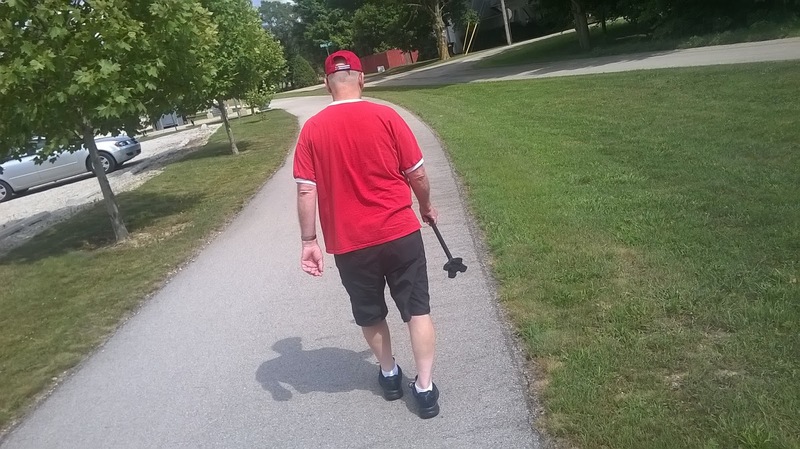 He had knee replacement surgery in June at Ortho Indy, and it's been great for him. A few months out of surgery now, he's walking about 90 minutes a day--which is a big deal because Dad loves to walk and hasn't been able to because of his knee. The picture above was taken in July a little more than a month after surgery. He wasn't walking long distances then, but he was way ahead of schedule. Best 100th anniversary event, Indianapolis 500 category. 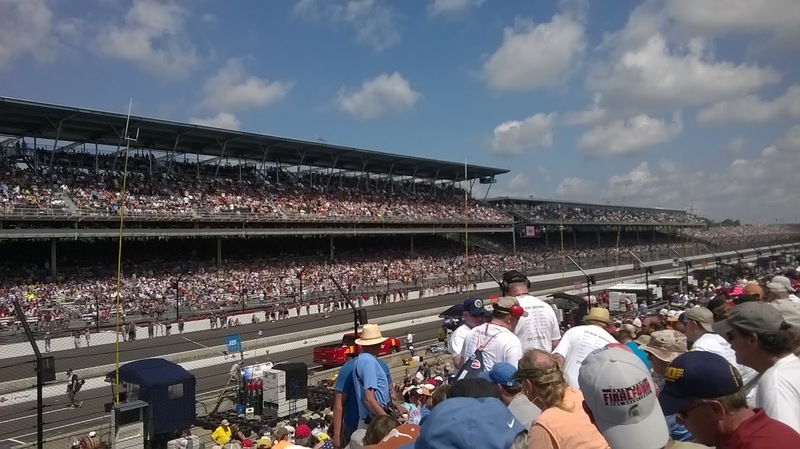 The Greatest Spectacle in Racing reached a milestone in 2016 with the 100th running of the race. I've worked a fair amount of Indy 500 Sundays because I work in TV news, but this year I got to go to the race as a spectator. 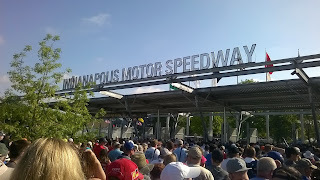 My father-in-law, mother-in-law, brother-in-law, and sister-in-law went to the 100th running, which was full of pageantry and great racing. In the end, rookie Alexander Rossi took the checkered flag, somehow defying the laws that say you have to have fuel to win the race. Best Star Wars movie, non-episode category. For the first time, Disney-Lucasfilm released a Star Wars movie that wasn't part of the episodic Skywalker story. In essence, Rogue One is the very first Star Wars spinoff movie. While it's tied to the events of the first Star Wars (that's 1977's A New Hope), it's not the continuation of a story and there won't be a sequel (or you could consider A New Hope to be the sequel). I absolutely loved it. We got to meet some great characters, even though they weren't, um, long for the Star Wars world. And we got to see Peter Cushing again! I thought Grand Moff Tarkin would make an appearance, but I never expected he'd have such a large role. Best anniversary, marriage category. Incredibly, my wife and I have been married for 10 years. I really can't believe it! While we didn't do anything remarkable for the anniversary itself, we had plenty of adventures throughout the year. I also put together a video of our wedding day (October 7, 2006). Best short nonfiction novella, 40 Years of G-Man category. 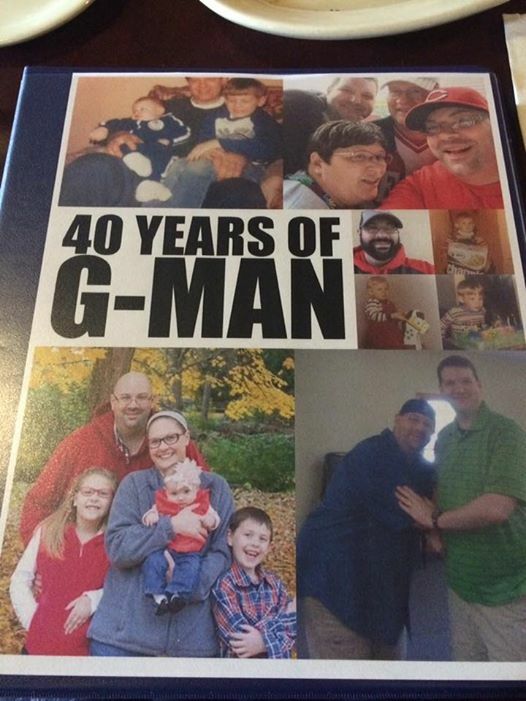 To my utter astonishment, my brother turned 40 year this year. I wanted to do something special to mark the occasion, so I came up with 40 different memories and wrote a short book with 40 chapters, one for each year. Our mother even retroactively grounded us after learning about a couple of those memories, including Home Plate Collision, a baseball-themed game we used to play where a runner came in from third base and tried to knock over the catcher. 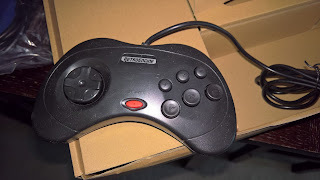 My brother knocked me out cold one time when we were playing this. Not coincidentally, that was the last time we ever played Home Plate Collision. David Pumpkins. I mean, Davis. S. Pumpkins. To be honest, I don't even know what this is. I've watched it a bunch of times, and I have no idea why it's so funny. Is it Tom Hanks' dedication to the bit? The dancing skeletons and absurd music? I'm not sure. Best movie experience, awesome AMC chairs category. I think AMC's new chairs have spoiled me forever. These things tilt back and let you put your feet up. They make every other theater chair seem inconvenient and uncomfortable. 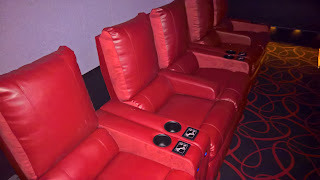 I went to an IMAX movie with my brother-in-law, and we didn't have these chairs. That theater-going experience was definitely inferior as a result. Movie Year in Review: The Good. I won't get into extensive reviews for any movies, but I'd like to mention some of my favorites. Rogue One, Captain America: Civil War, Moana, Deadpool, Dr. Strange, Sully, Star Trek Beyond, Zootopia, Finding Dory, and The Jungle Book are a few that stick out. Marvel had a solid year with its latest entries. Dr. Strange was visually very cool and Civil War gave us some of the best superhero moments in the history of superhero movies. Deadpool was so right yet so wrong on so many levels. I think it was a strong year for animated movies, with Finding Dory, Zootopia, and Moana giving us some of Disney's best. While Star Trek's 50th anniversary passed with little fanfare (thanks CBS/Paramount, losers) Star Trek Beyond was a terrific return to the big screen for the franchise. Movie Year in Review: The Bad. While Marvel continued its roll, DC continued to try to find its footing. Batman v. Superman: Dawn of Justice was a mess. I couldn't wait for the credits to roll on that one. It was long, ponderous, and made zero sense. I will say the Ultimate Edition significantly improved the film, but that cut was nearly three hours and that's still way too long. Suicide Squad appears on several "worst movies of the year" lists, and while I thought the villain was weak, I liked the characters enough to keep it off my worst list. I didn't care for Warcraft. I don't remember much of the movie, and it was just kind of bland. Independence Day: Resurgence tried to mimic The Force Awakens template by mixing new characters with old ones but forgot to give us new, likable characters. Jeff Goldblum was Goldblumming hard, and it still didn't help. Brent Spiner appeared to be the only person in that movie who was having any fun at all. I didn't like the BFG, which tried very hard but was sort of all over the place. The Ghostbusters reboot committed the ultimate sin of being simply mediocre. A couple of good laughs in there, but the story was thin and things never clicked. Too many distracting cameos as well, although the leads were likable. Gods of Egypt was awful in that so-bad-it's-good way. Writing Year in Review. I finished a few drafts of novels this year and polished a few manuscripts in need of some love. I had a short story published in an anthology and had some more nibbles on some of my novels. 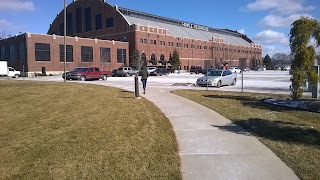 I also attended the Midwest Writers Workshop for the first time since 2010. I pitched projects to agents and met some new writing friends. Toward the end of the year, I took a writing break, but I'll get back to it at the start of 2017. Best impulse buy, Microsoft Surface category. When Anne's phone broke, we went to the AT&T store to get her a new one. At the time, they were running a deal on the Microsoft Surface, so I went ahead and bought one. It's a great tool that's replaced my clunky (but faithful) laptop computer. I'm writing this blog entry on the Surface, in fact. 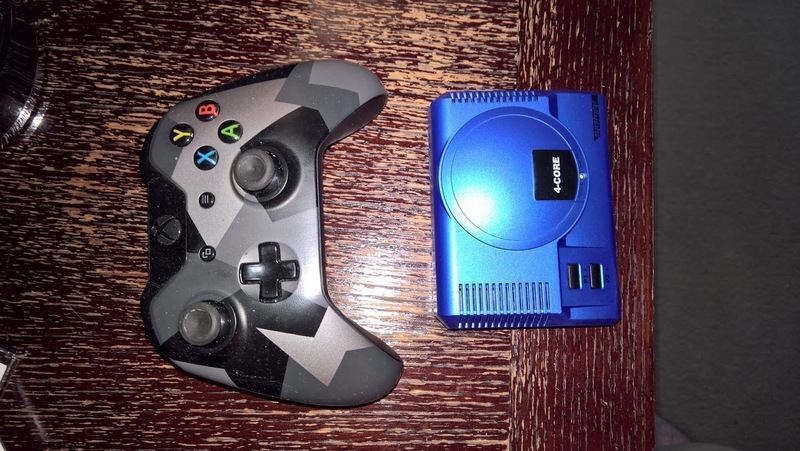 It's compact and you can use it as a tablet or traditional laptop. 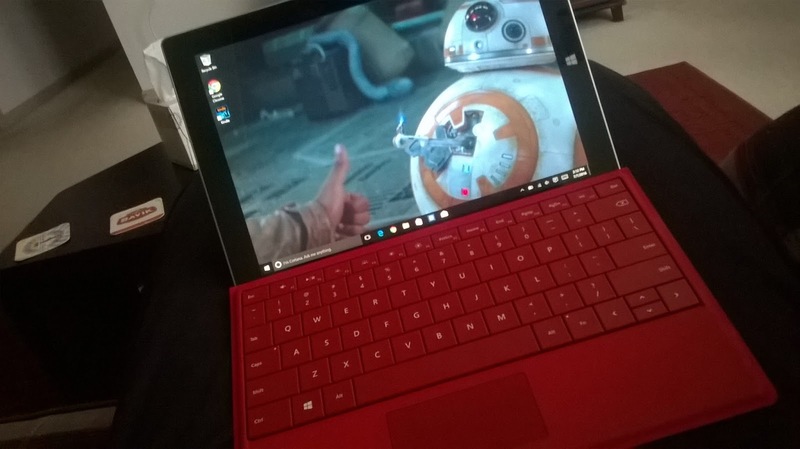 The model I bought, the Surface 3, doesn't have the power of a Surface Pro, but it definitely gets the job done. I found the keyboard cover--sold separately for an absurd $120--on clearance for $30 at Best Buy. 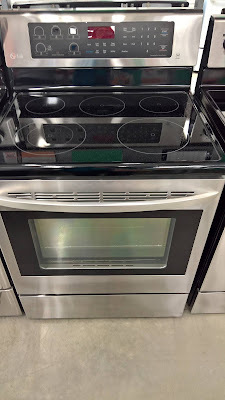 Unexpected purchase, replacement oven category. Appliances eventually break down. Nothing lasts forever. Our gas oven bit the dust in July, and we replaced it with an electric stove. It's so shiny!